Wake up and go to sleep to your favorite music, get your own collection of exclusive designer clocks, know weather conditions in your area, and light up the darkness with a powerful built-in flashlight! * Widget: access the remaining time till the next alarm and live local weather conditions in Notification Center. 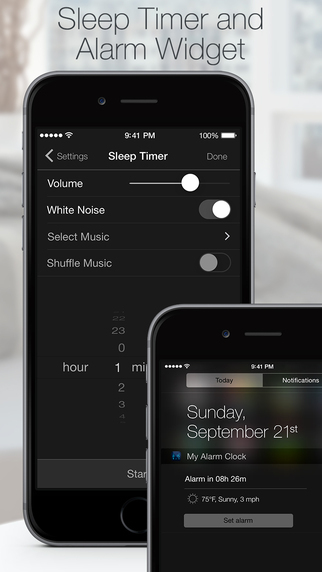 – Background alarm support: alarm will go off even if the app is not running! – Add your notes to the alarm! Beautiful. Reliable. Versatile. 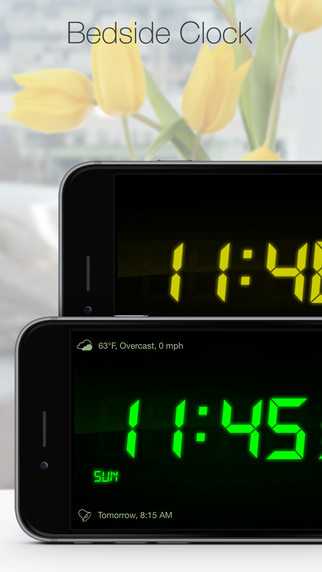 Get the alarm clock that you've been looking for! This version addresses previous update issues. We apologize for inconveniencing the app users who were impacted by the bugs in version 2.8. Before this app I used one that eventually ended up adding icons without giving the option to remove them as they don't even fade away in time. It ruined the app completely. This apps does it right, but I have to admit the other one was a tad bit prettier.